Dove Men+Care "Real Strength" by The Marketing Arm. As a bellwether for the state of U.S. advertising, the Super Bowl also brands a cultural stage unlike any other. With more than 110 million viewers consuming brand messages along with their snacks and beer, plus mountains of buzz before and after the Big Game, each ad commands the nation’s attention. As part of their bid for brand identity, those seconds on screen afford advertisers an unrivaled chance to express their social purpose. The most interesting ads serve as cultural signposts that point out new wrinkles in the social fabric, forming a bond with consumers that goes deeper than tried-and-true marketing clichés. "In the Super Bowl, the success of a great brand in connecting culturally is under a microscope," said John Marshall, global strategy director at Lippincott brand consultancy. "There is immense value to be a company that ‘gets it’ — that consumers can relate to in the face of a changing world. Being funny or memorable is one thing, but being really relevant to how the world is changing takes it to a new level," he said. A good cultural TV ad is usually tied to the Zeitgeist of the moment, added Prashant Malaviya, associate professor of marketing at Georgetown University. In the case of the Super Bowl, a cultural signpost ad wouldn’t resonate as clearly if it ran a year before or a year after. Think of Chrysler’s gritty "Imported from Detroit" ad in the 2011 Super Bowl, with Eminem riffing on the struggles of the Motor City. Another example was Coca-Cola’s multicultural-themed ad in last year’s Super Bowl that featured "America the Beautiful" sung in different languages. The ensuing social media tussle over whether the song should be in English only proved it touched a cultural nerve. Read more from Joan Voight: Could other sports steal the Super Bowl's ad magic? But signpost ads don’t need to be serious anthems. Malaviya pointed to the E-Trade monkey ad in the 2000 Super Bowl. In the midst of the boom in dot-com ads, the ad shows a monkey dancing off-beat for 30 seconds followed by the line: "Well, we just wasted 2 million bucks. What are you doing with your money?" Behind the silliness, "the ad made the point that investing was accessible to the average person — a very forward-thinking, populist message," he said. Dove Men + Care. Dove is finding its bearings in how to fit in with the changing role of men in today’s society, Malaviya said. While rival Old Spice takes aim at men who are half of a couple. Dove is focusing on men with family responsibilities. 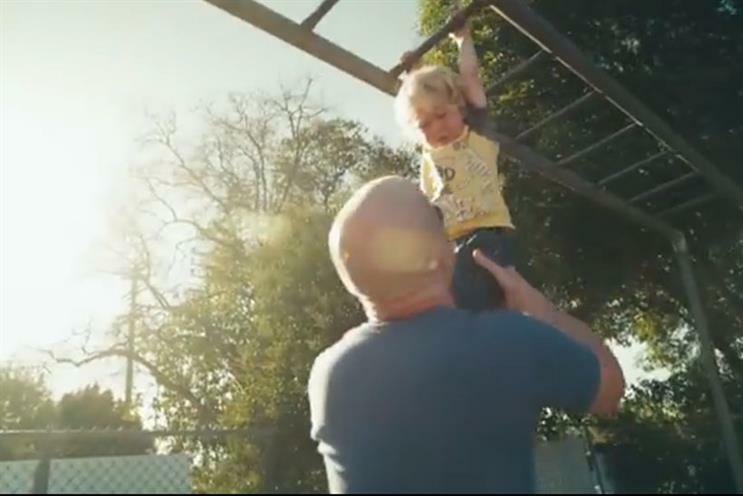 It has revamped an earlier fast-paced ad about fatherhood with a new message about care as a central aspect of masculinity, encapsulated within the hashtag #realstrength. Avocados from Mexico. Will avocado farmers have their "Got Milk" moment? The California Milk Processor Board figured out to sell a commodity and make it as much a part of the cultural vernacular as a soft-drink brand. As consumer attitudes shift toward healthy eating, avocado growers are the first Super Bowl advertisers to try to do the same for a fruit or vegetable. To pull it off, "the work needs to focus on increasing awareness of avocadoes and guacamole, not on boosting sales," Malaviya said. The BMW electric car. The Big Game spot will explain the BMW i3 electric car, which plugs into a typical 220-volt outlet and can charge in a few hours. As electric vehicles gain ground, this prestige brand is in the position to articulate the new orientation in our concept of driving. The stakes for these and other Super Bowl advertisers grow higher each year, experts say. "Great brands are always part of culture," Marshall said. "Because the Super Bowl is the one time people are consciously evaluating the ads," he said, this is "the time — more than any other — for them to be uniquely relevant."